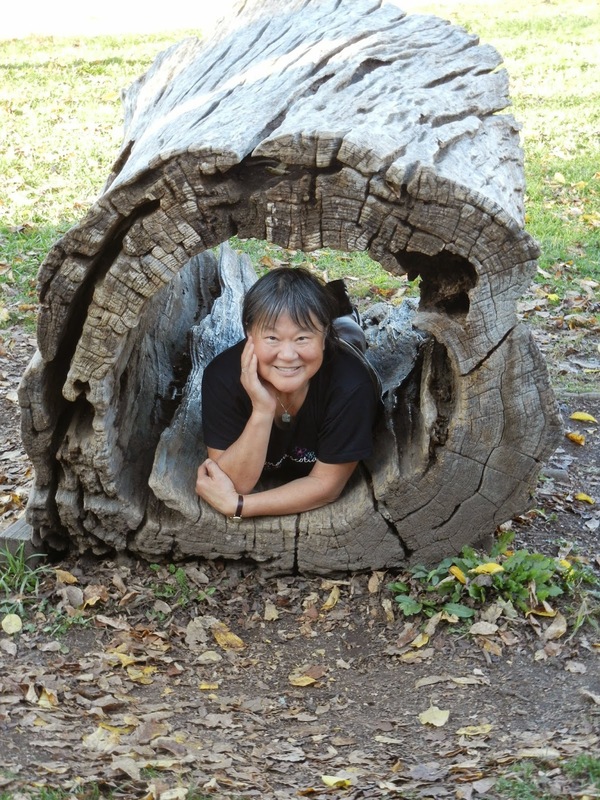 Teacher, Master Gardener, Musician, and fellow KUCI DJ Ann Lui joined me Monday at 9:00am! Thanks to special guest Ann Liu for joining me this morning for a fun conversation about gardening, music and more! If you missed the show, listen here. Ann was born and raised in Los Angeles of immigrant Chinese parents who were rice farmers before immigrating in 1924 and 1936. She taught 37 years in Alhambra School --both general education and special education- Deaf and Hard of Hearing. After retiring in 2009, Ann was trained as a Master Gardener with the University of California Cooperative Extension (UCCE) in Orange County. She has volunteered in many different venues, such as the Heritage Museum rose garden, South Coast Research Center- fruit trees and sustainable garden, Food and Farm Lab at The Great Park, Speaker’s Bureau, and most recently – KUCI DJ for “In the Garden” show on Thursdays at 8:30-9:30. Ann and her husband decided to re-do their entire Irvine home landscape in 2010 to make it more drought tolerant and sustainable. (No more lawn!) They changed their irrigation methods to fit the different micro-climates in their yard and include edibles in their landscape. They have a large area of all edibles mixed with California natives on the west facing side. They also have a long “Berry Wall” on the south side where they enjoy blackberries and raspberries April-July and then have grapes, mints, and fennel the rest of the warm season. They also have three large blueberry pots near their acid loving shadier plants. Altogether, they have 13 fruit trees. Gardening and music (flute and piano) are her big favorite past times. Ann's four children are now all grown and live in Seattle, Davis, Sacramento, and Allentown, PA. Ann lives at with her husband, John, and they care for John's 101-year old mom, who enjoys their beautiful garden every day with them. British singer-songwriter Rebecca Pidgeon joined me Monday at 9:30am pst! Thanks to special guest Rebecca Pidgeon for calling in this morning! If you missed her, listen to the show here. Pidgeon has toured across the US in support of her music, including joining Neil Young, Dave Matthews, Willie Nelson and John Mellencamp at FarmAid in 2013 and headlining the Wine, Women & Song Concert Series in 2012. In the past year, Rebecca has toured with noted artists Marc Cohn and Keb Mo and shared the stage with Aimee Mann, Madeleine Peyroux, Stephen Kellogg, Rusted Root and Jeffrey Gaines, to name a few. She continues to juggle her musical and extremely successful acting careers. She has been featured in several films including “Red,” alongside Bruce Willis and Morgan Freeman, the 2013 Emmy nominated HBO biopic Phil Spector alongside Al Pacino and Helen Mirren and most recently in the film “Two Bit Waltz”. Director/Producer/Actress/Comic/Writer Andie Bolt joined me Monday at 9:30am pst to talk about her first feature film WoW MoM! 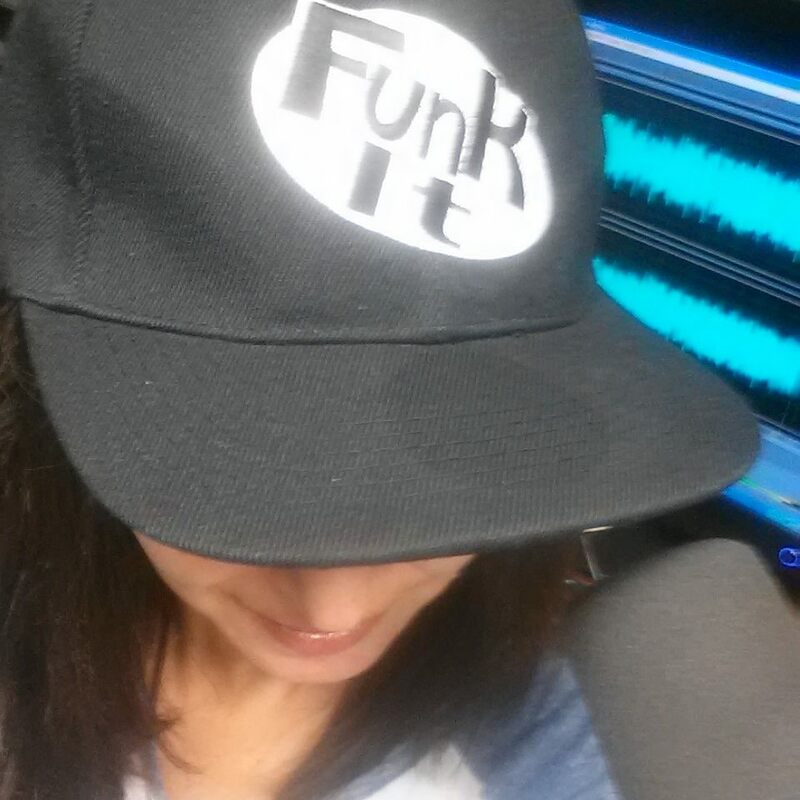 Did you miss today's show with Andie Bolt? Andie Bolt - Actress/ writer/ director/ comic/ side seat gamer. (Queen of the "slash".) Andie has her own production company named after her father, Red Bolt. 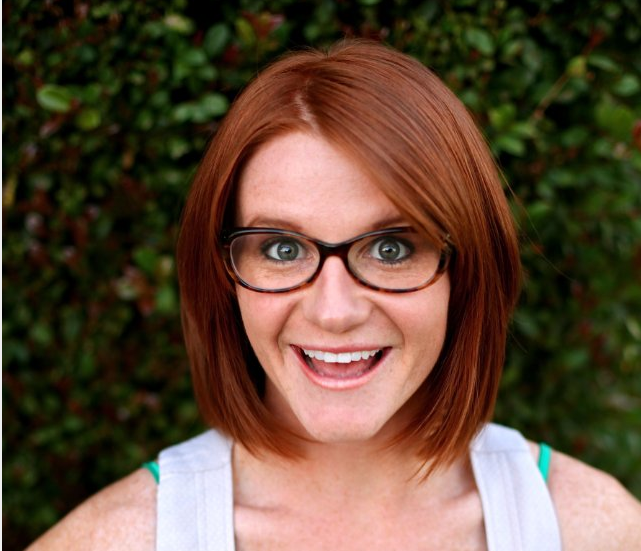 She has been performing writing and performing stand up comedy since she was 14, performs currently at UCB, IO West, and various comedy clubs around Los Angeles. Credits include: Parks and Recs, Nerdist's Dork Fork & DIYDammit!, Fuel TV's The Daily Habit, National Lampoon's Lemmings, Nick Cannon's Short Circuitz and Dipdive comedy a will.i.am digital vertical. Andie executive produced the very successful multi-nominated series MyMusic for the Fine Brothers and has been tapped by Univision to write a new series for their digital vertical, Flama. Andie has executive produced and developed 8 shows for Seventeen Magazine's digital vertical helping oversee the launch earlier this year. Oishi High School Battle Season 2 for Ally and 16 Bit High School for SMOSH which was screened at SXSW. In January a series Andie wrote produced and stars in will be released via Geek Nation titled Red Baroness: Warrior Single Lady. Inspired by her love of the Red Sonja comics. WoW MoM will be Andie's first feature film. Andie would also like to add that she is a proud feminist, seeks out and writes strong female characters while creating and providing jobs for women both in front and behind the camera. Two years ago on the Nerdist Podcast, Chris Hardwick asked what I talk about in my stand up. 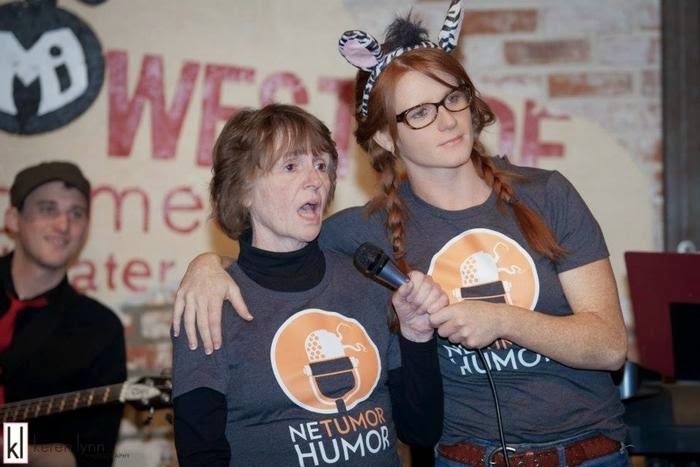 At that time my Mom was using World of Warcraft to cope with her cancer and I was telling jokes on stage as a way to deal. Chris Hardwick, to my delight and gratitude, came up with a brilliant plan: “We have to send your Mom to BlizzCon!” My mom heard the Nerdist podcast and was bursting with excitement. At the time, Mom was about to start a new clinical trial and this felt like a sign: I needed to stay with her and be part of this journey. After Mom got some rest, I told her the rest of the great news: “We’re going to BlizzCon and I’m going to film it! We are going to tell the world about your cancer so that maybe other people won’t go undiagnosed like you.” Her face lit up up as she realized by sharing her story of her battle with NET/Carcinoid Cancer, others may not have to suffer with a delayed diagnosis. As I started telling this story, it was obvious that this project had much more to say than could fit into a web series. We needed a full-length film to tell these stories and accurately describe all the fantastic people I’ve met on this journey. Making a project you really, truly care about causes people to come out of the woodwork; beautiful, kind humans who want to impact others in a positive way. We weren’t just playing Warcraft, we were making a documentary, but it felt like I had my own guild. Everyone had their roles and we were raiding through on the tiniest of budgets. This crew was giving everything and even at complete exhaustion, giving more. We shot 17 hours worth of footage at Blizzcon on two cameras alone with the entire crew crammed into one hotel room. Not one person complained. When I tried to pay my sound operator he said, “Donate it to your Mom’s hospital.” Needless to say, I’ve cried a lot making this. Lots of happy tears! No one has ever cared this much about something I was making. This isn’t just my movie, it belongs to all of the beautiful people in front and behind the camera. Parkinson's disease may have taken her voice from us--- but not her legacy. Come sing - come dance - come hang - come honor an icon of rock n' roll as we sing Linda's Greatest Hits Vol 1 in it's entirety. The musicians will be performing her Greatest Hits Vol 1 in it's entirety - her highest-selling album, released 38 years ago this month. The concert is honoring and paying tribute to Linda and all that she has contributed to rock music. 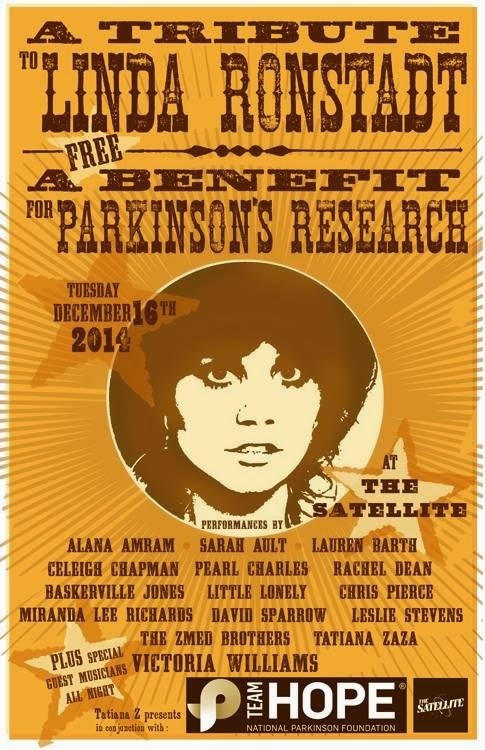 They are also hoping to raise a little money for Parkinson's disease research. According to producer Tatiana Z, "I can't believe the community of vocalists and players who without a moment's hesitation donated their time and talent to this wonderful night - for a wonderful cause close to our hearts… I can't even tag them all….seriously, FB wouldn't let me. Vocalists are on the poster, the band is stellar and special guest appearances will be all night!" Sharing the many talents of professional Voice Actor Ed Victor! Author, actor, blogger and tired mom of two kids...Deva Dalporto (MyLifeSuckers.com) joined me Monday December 15th at 9:00am! Had a great time chatting with special guest Deva Dalporto Monday December 15th at 9:00am pst! Miss today's show? Listen here! Deva Dalporto is an author, actor, blogger and tired mom of two kids, you can read all about them on her blog MyLifeSuckers.com. 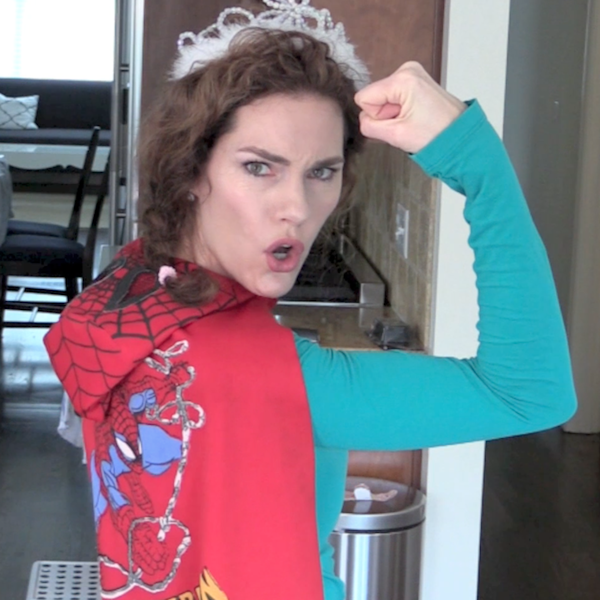 She is the creator of the viral videos “I Just Need Some Space,” "What Does the Kid Say,” "Let It Go - Mom Parody," “Knock It Off” and “I’m So Cranky.” NBC recently called her the “Weird Al of YouTube Moms.” Her viral videos have been on People.com, CNN, Headline News, Fox News, People.com, TODAY Parents, Yahoo’s homepage, TODAY Australia, HuffPost Parents, Parents.com, Yahoo!, PopSugar Moms, Babble, CafeMom and many more. A former Senior Editor for Nickelodeon's ParentsConnect, Deva’s writing has been featured on The Huffington Post, Yahoo! Shine, PopSugar, Scary Mommy, NickMom, Bundoo, What The Flicka, Bio.com and WeAreTeachers. Deva also has an essay in the new anthology I Just Want to Be Alone—a compilation of essays from some of the funniest female bloggers on the web. 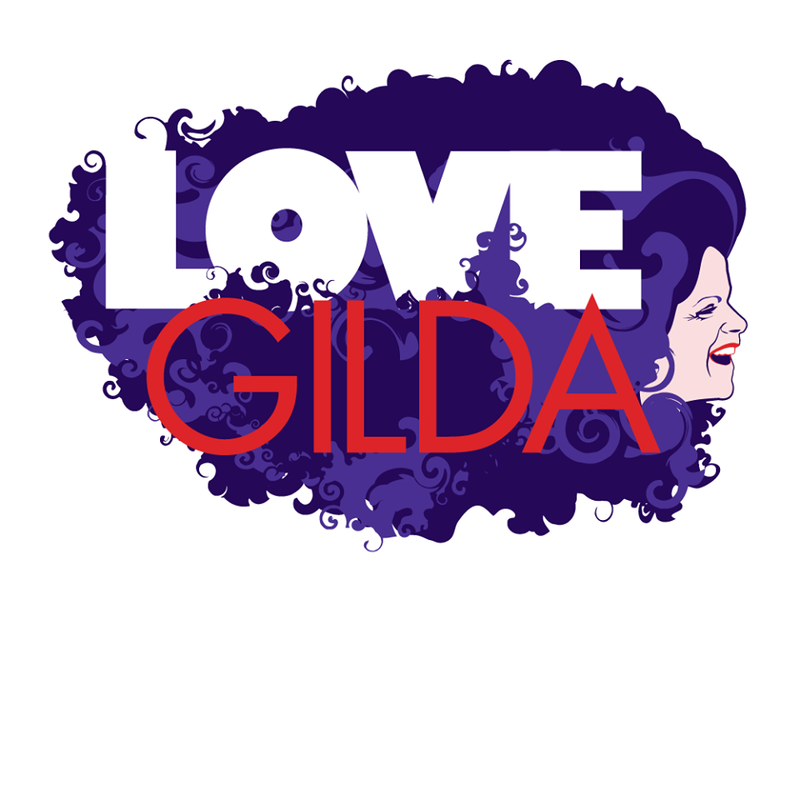 Lisa D’Apolito, Director/Producer of LOVE Gilda- The Legacy of Gilda Radner, joined me Monday December 8th at 9:30am! Lisa D’Apolito is Director/Producer of LOVE Gilda- The Legacy of Gilda Radner, a documentary film currently in production. Many may know Gilda as an original cast member of Saturday Night Live, creating iconic characters like Roseanne Roseannadanna, Emily Litella and Baba Wawa. But, LOVE Gilda is not just a film about a beloved comedian, it is a film about how one woman with her honestly and humor continues to be an inspiration for people living with cancer. “I have been filming members of Gilda’s Club, a non profit cancer support organization founded after Gilda’s death from ovarian cancer by Joanna Bull, her cancer psychotherapist, her husband Gene Wilder, TV Critic Joel Siegel and actor Mandy Patinkin and many dedicated others.. I realized the deep connection the members have with Gilda. One summer I was filming Camp Sparkle and a little girl named Ruth from Saint Lucia was drawing , I asked her what she was drawing and she said “Gilda”, And I thought wow, Gilda is more than just a talented comedian or someone the organization is named after, she is really a legend 25 years after her death. So, I decided to go on a Gilda journey and learn more about her. I started filming her friends and family and also visiting and filming other Gilda Clubs in the U.S. and Canada. I learned how Gilda used her humor in her most difficult times and how many people going through cancer whether they are members of Gilda’ s Club, read Gilda’ s book “It’s Always’ Something” or just loved watching her on TV or films are still inspired by her. My goal is to have film that will also introduce Gilda to a new generation who may not know of her legacy both in comedy and in cancer. Lisa started her career as an actor with parts in films like ‘Goodfellas”, she went on to have a long career as a producer/director in commercial production but her passion has always been in real issues especially those involving women and children. She recently directed a short comedy staring and written by David Cross and Amber Tamblin. She also directed and produced PSAs for Plan Parenthood with Julianne Moore and Mary J Blige, along with many public service videos for organizations such as the GVHC, a group that supports New York Kids in trouble and New Destiny Housing a place for women who have been victims of domestic abuse. Lisa has been working on fundraising videos with Gilda’s Club NYC for 5 years and is a passionate supporter of Gilda’s Club. UCI hosts 50th Anniversary spirit rally and volunteer stocking-stuffer event! EVENT: UC Irvine will host a 50th Anniversary Anteater Spirit Rally to announce upcoming celebrations and the new 50 for 50 Volunteer Program, a campaign for the UCI family to donate 50,000 hours of service time over the two-year 50th anniversary period. INFORMATION: Media planning to attend should contact Cathy Lawhon at 949-824-1151 orclawhon@uci.edu. Parking is complimentary for media who RSVP. Nearly 400 participants have also signed up for the annual stocking-stuffing party sponsored by UCI Staff Assembly, which will follow the rally. The goal is to assemble 500 holiday stockings for children served through the Olive Crest organization. Papa John’s and Trader Joe’s will supply food and drink for the volunteers. Today's show featured musical guest Summer Grace Watson! Today's show featured musical guest Summer Grace Watson! Summer joined me at 9:00am on December 1st to talk about how she started playing guitar at 16 and where her creative journey as a singer/songwriter has taken her. We also had a chance to listen to some of her latest music (what a voice!) written by Summer Grace Watson and Produced By (JP) John Parenti. Before you hear her music. Before you listen to the soulful timber of her voice. Before her lyrics play on an endless loop in your head. The first thing you think of when you hear Summer Grace Watson is, "Is that her real name?" The answer is yes. That is her given name. And never has there been a name more perfectly suited for someone. Because Summer is summer with all its fun, first loves, wave riding, road trips, day dreaming and sad endings. Grace, as it should be, is found on the inside feeling and listening eyes closed, detangling a head full of lyrics and melodies. And standing there front and center is our dear Watson, playing her music and singing in between the notes of her life. This is Summer Grace Watson. The singer/songwriter from San Clemente who taught herself how to play the guitar at 16 and started performing in local venues at 18. It's been a fun ride ever since as she's gone from a teenager strumming the guitar to a gifted song writer and artist. More than a natural at music, she's an avid trail-runner, a lifelong surfer, loves body surfing and free diving. Any activity, it appears, that requires total immersion. So, it's not surprising to hear that she writes most of her songs on her surfboard in the ocean. Her home away from home and where her heart is. Architect for the Wolfgang Puck Food Company, Stephen Francis Jones joined me Monday at 9:00am! Had a great time chatting with special guest Stephen Francis Jones today! If you missed the show, listen here. As in-house architect for the Wolfgang Puck Food Company, Stephen Francis Jones established one of Southern California’s most iconic brands. When he founded his own firm, Puck immediately hired him to help develop the fine dining ambiance at Spago Beverly Hills. That project led to designing Wolfgang Puck restaurants worldwide—and, most recently, the renovation of the Grand Ballroom at Hollywood & Highland, site of the Academy Awards’ Governors Ball.Beginning with a complete renovation of the Century Plaza Hotel, Jones received a steady stream of high-profile commissions. He designed the serenely elegant sushi restaurants Hamasaku and Kumo for Michael Ovitz and Anisette—a classic French brasserie in a landmark Santa Monica tower—for Tommy Stoilkovich, Mike Garrett and four-star chef Alain Giraud. Jones was a young associate at a boutique Los Angeles architecture firm when he discovered that restaurant design was his true calling. Working as project architect with restaurateur Brian Vidor on Typhoon at Santa Monica Airport, he realized that the intimate scale allowed him to focus on the details of lighting, texture and color that create a memorable ambiance. After graduating from the University of Florida School of Architecture, Jones developed high rises at Jung/Brannon in Boston. He worked on large projects in southern Europe with the internationally renowned Barcelona firm Ricardo Bofill Taller de Arquitectura before completing his master’s degree in architecture at UCLA. A fluent Spanish speaker who had spent his youth in Bogotá, Colombia, Jones found that immersion in urban European life gave him a fresh perspective on what makes a social space a memorable experience.An avid cyclist and volleyball player with a warmly engaging personality, Jones has a way of bonding with his clients. After meeting restaurateur Chris Simms at a local beach, Jones collaborated with him on six projects, including the playfully rustic M.B. Post (a former post office) in Manhattan Beach, with Michelin-starred chef David LeFevre. Jones seeks to realize each client’s distinctive vision. By interpreting and enhancing his clients’ concepts, he creates uniquely inviting settings for casual to high-end dining. Among his best-known projects is Lucky Strike Lanes in Hollywood. Working with CEO Steven Foster, Jones created a wildly popular hipster hybrid—restaurant, bar and bowling alley—that resulted in a flurry of spin-off projects. Johnny Schillereff, founder of Element and recent TEDx Orange Coast Speaker, joined me Monday at 9:30am! Great show today featuring Johnny Schillereff! If you missed my conversation with Johnny, listen here. At the age of four, Johnny Schillereff got his first skateboard and a lifetime passion was discovered. Escaping the turbulence and dysfunction of a troubled childhood, Johnny began to find solace in world of skateboarding and its subcultures. 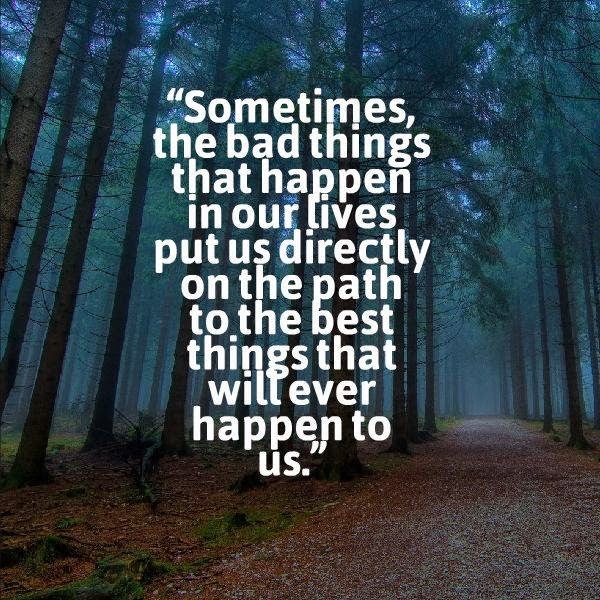 Ironically, the path that most people frowned upon and attempted to detour him from was the very path that saved him. The few things that kept him grounded were his passions for the outdoors, art, and the skateboard under his feet. In pursuit of these disparate passions Johnny merged this unlikely marriage of our urban culture and the natural environment – and Element was born. Element was created out of a passion and an unwavering dedication to making a positive difference. The brand continues to grow while honoring its deepest roots of skateboarding and the lifestyle that surrounds it. From team riders and advocates to product, Element embodies the unbounded potential of creativity and imagination. Today Element, identified by the iconic tree logo Johnny created, is now sold in more than 100 countries and has developed into a lifestyle brand spanning skateboards, accessories and apparel for men and women. Johnny’s entrepreneurial spirit and vast achievements have made him an industry maverick and pioneer that continues to shine today. There are no tipping points | Johnny Schillereff | TEDxOrangeCoast joins me Monday at 9:30am! Thanks to The Master Shift for posting! Saturday November 8th, former host of the hit children’s show Wonderama and long-time television producer, Sonny Fox will present excerpts from The Songwriter, the series he produced for CBS Cable! Sonny Fox﻿ will be featured in a very special LA event! Yip Harburg, Arthur Schwartz, Charles Strouse, and Burton Lane. But You Made the Front Page: Wonderama, War, and a Whole Bunch of Life. Saturday, November 8, 2014, 4:00 – 5:30 p.m.
Abra Liberman-Garrett, author of Maccabee on the Mantel, joined me Monday at 9:00am! If you missed Abra Liberman-Garrett on today's show, listen to our conversation here! Move over Elf on the Shelf and make room for the holiday companion that is over 5000 years in the making – it’s Maccabee on the Mantel, an adorable plush doll and accompanying storybook that teaches children about the origins of Hanukkah and celebrate one of the culture’s most prominent but often misunderstood traditions. Conceived of by mother of two and pre-school temple instructor Abra Liberman-Garrett, Maccabee on the Mantel is a huggable stuffed Maccabeean soldier whose personal story in the book illustrates the escape of the chosen people from the brutal King Antiochus. Raised with sometimes lackluster Jewish holiday traditions, she became more passionate about teaching the origins of Hanukkah while raising her children in Dallas. With the aid of her friends at Fort Worth’s legendary improvisation and comedy troupe Four Day Weekend – a group whose business savvy earned them last year’s Small Business of the Year Award from the Fort Worth Chamber of Commerce – Liberman-Garrett invented a holiday product that is kid-tested and Rabbi-approved. Stand-up comedian and author Jordan Pease joins me Monday at 9:30am! There aren’t many gay comics who would leap at the chance to perform for a crowd of military veterans or suburban Latinos. But where some might see a potentially resistant audience, stand-up comedian and author Jordan Pease only sees a new potential group of friends ready to laugh. Born and raised in New Jersey into an Italian-American family that has embraced his adult identity (“When I came out to my grandparents, their only comment was that they hoped I married an Italian man”), Pease mines the sometimes painful and more difficult avenues of life in order to fashion self-deprecating jokes that render him equal parts endearing and outrageous. The same tone can be found in his memoir, Accidentally Okay, which recalls his extended stay in Verona, Italy, with an acute sense of observation and self-awareness. 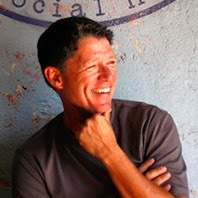 He’s also contributed columns to Huffington Post and maintains an active presences on his website, thejordanpease.com. Citing Chelsea Handler and David Sedaris as two of his role models, Pease has found great success even though he’s been doing stand-up professionally for less than three years; he’s already been named “Funniest New Comic in LA” and appears regularly at the Comedy Store and the Laugh Factory, sometimes sharing stage time with idols like Sarah Silverman and Steve Trevino. Whether it is posting Twitter accounts of his colorful lifestyle to his 15,000 followers, or polishing his writing skills to ascend the New York Times bestseller list, the spontaneous, savvy, and always sassy Jordan Pease is positioned to take his place alongside the other great men and women who have devoted their lives to make audiences feel happy. 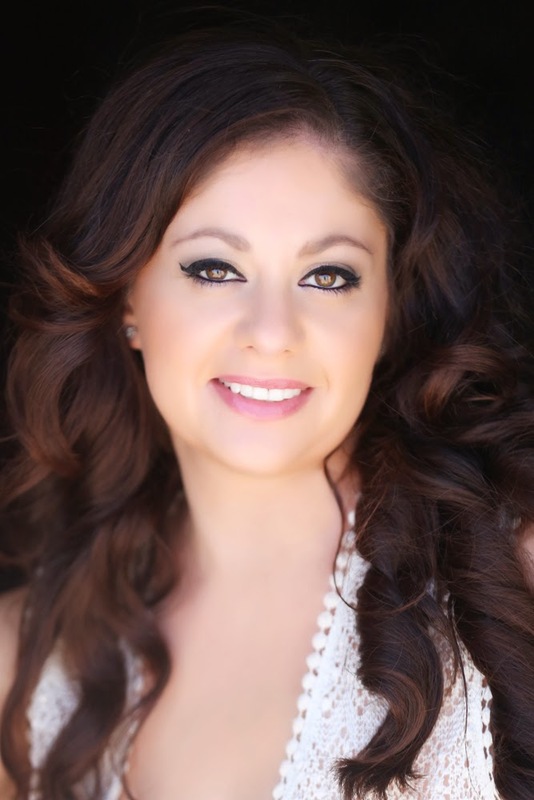 Joining me Monday @9:30am...Matchmaker/Dating Coach Julia Bendis talks about her business ‘Match by Julia,' and how her traditional approach to dating has brought love to so many lives (not to mention out of a dating FUNK)! If you missed Julia on today's show, you can listen here! Growing up in Communism was difficult not only because you didn’t have personal freedom, but also because we lacked many things. Food was hard to come by, waiting in lines only to find out they ran out of things was a daily struggle. Even though life wasn’t easy, my family was still able to enjoy the little things like each other and bringing people together. As long as I can remember the women in my family did two major things: cook and introduce people to one another. My Mother matched people up back in Russia as well and have counted numerous weddings and babies as a result. Once we moved to the U.S. her Matchmaking took a back seat in order to help my Father provide for us. That’s when I took over in a way. My first match was when I was in high school, and the couple went out for about 3 years. I’ve always known that I had a keen intuition of who would be great with whom, and my ability to read people only developed even stronger as I got older and living in a whole new country. This intuition and my Grandmother’s wisdom has guided and helped me over all these years, and I continue to use her wise words and advice to this day. Matchmaking has been a huge part of Russian and Jewish culture for many generations, and in my family in particular. Jewish women in Russia and Poland have always gathered together in villages to bring single men and women together. In the beginning it was definitely something that was arranged by the parents and grandparents, and most people had arranged marriages. Over time as the culture and religion evolved, single people wanted to give their input in what type of partner they wanted. So these so-called Matchmakers would sit down with the families to share their “files” on who was single in their town or village, and give information about their families. Once people started to move further away from their families, the art-form of “Matchmaking” started to die down. And of course with new technology, people didn’t want outside help when it came to their love-life. However, these days more and more people find themselves not only too busy to go out and meet people, but are overwhelmed with the amount of choices when it comes to online dating, bars, night-life and the lack of time to be able to pursue the different avenues of meeting a partner. That’s why old-world Matchmaking, with a new and revised traditions are even more helpful today. Instead of people meeting strangers online, seeing pictures and profiles that could be completely fake and wrong for them, I meet with every single person and screen them prior to setting them up on dates. There’s a big difference in meeting someone in person versus behind a computer looking at touched up pictures, and written profiles that may only be words and not reality. I bring my culture, my upbringing and my realistic view on life and relationships to the people I work with. My style is very unique since I don't try and change people like other so-called Matchmakers on TV, I don't yell or berate people. However, I do tell every client to be realistic in their search for love and more importantly open-minded to any and all possibilities. I teach them to forget their list of must-haves in a partner, and open their eyes to all potential matches. I have a realistic view on relationships, dating and what work and what doesn't, which is something I help my clients learn and understand. I love talking to and helping people. I live for love, and think everyone deserves to be loved and have a partner in life, no matter what age they are. My clients range in age from 23 to 84. I founded Match by Julia and matchbyjulia.com after many years of fixing people up for fun, and satisfaction of seeing people happy and in love. I started bringing people together as a teenager, and continued all the way until I got married and had my own kids. After many years I realized that I was spending more time bringing people together than any other job I had, and it was the most satisfaction that I’ve ever known as well. Matchmaking has not only been my work, but part of my daily life as well. I have always taken the time to make a deep connection with every person I’ve come in contact with, making it a priority to remember each one. With every new client, I get to know them on a personal level, their needs, wants and desires for their future mate. After the initial meeting, start researching, interviewing, and screening people that are either in my database or by meeting and recruiting new clientele. Match by Julia is a traditional and personalized matchmaking service that caters to anyone wanting to find their other half. Every match is hand-picked, through a one-on-one process that pays great detail to your specific needs. I work with both female and male clients in Orange County. About Julia's soon-to-be finished book! I'm also writing a self-help type of book directed to Men, a dating "how-to and what not to do" book. There are thousands of books, courses and seminars for women, on how to find the guy, how to keep the guy, etc., but hardly anything for men out there. My whole point for the book is how do men learn how to be a gentleman, how to court a woman, how to act and dress and have dating etiquette? I see this problem over and over again with my clients. Relationships end before they can even begin because men don't know how to behave on a first date, or after the first date. Getting ready for our fall fund drive starting Monday October 27th! Getting ready for our fall fund drive starting Monday October 27th! Make a donation and receive all kinds of great premiums and... a chance to sit in on a show with some cool DJs/Public Affairs hosts! We're celebrating KUCI's 45th Anniversary! T-shirts, CDs, tickets to shows and more! Give us a call Monday (I'll be there!) 949-824-5824 and show some love for independent radio! Jan Creamer, co-founder of Animal Defenders International (ADI), a fearless, compassionate individual joined me October 27th 9:00am pst! If you missed Jan Creamer on today's show, you can catch our conversation here. 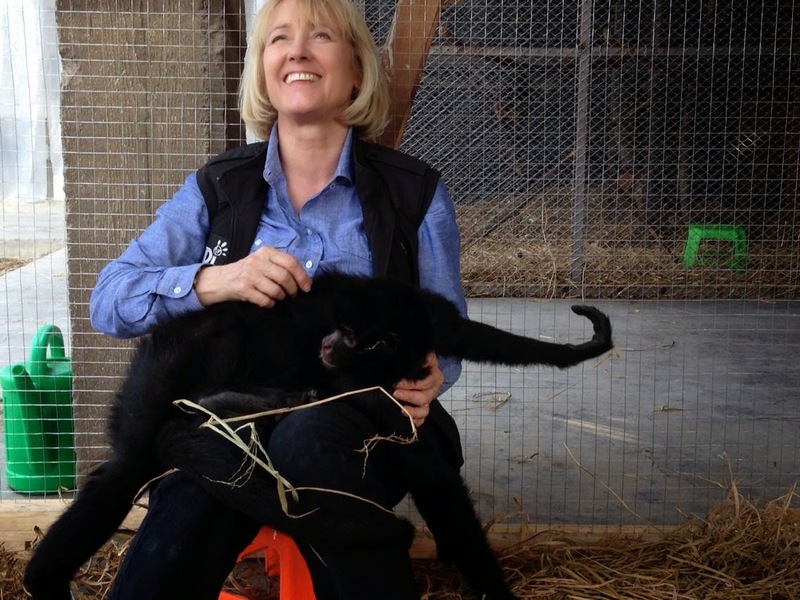 Meet Jan Creamer, one of the founders of Animal Defenders International (ADI), a fearless, compassionate individual who fights for those who cannot fight for themselves: the abused and neglected animals of the world. Creamer and Phillips are a tenacious husband-and-wife team committed to ADI, an organization that champions for oppressed animals across the globe. The renowned group stops animal abuse, rescues animals in distress, and secures legislation that protects animals from harm in laboratories, farms, and the entertainment industry. They use false identities, hidden cameras, elaborate cover stories, and covert surveillance techniques to capture footage in circuses, slaughterhouses, and laboratories. The two leaders have endured death threats and violent attacks in their mission to take hurt animals away from people who do not want to give them up. The couple publishes technical reports, educates communities, and drafts legislation documents for animals worldwide. They’ve secured bans on animal circuses in 27 countries and 44 in the US as well as a ban on cosmetic testing on animals in Europe. They are currently organizing their next rescue – taking all the wild animals from circuses in Peru this summer, and are hard at work on the Traveling Exotic Animal Protection Act (TEAPA), a bill that aims to end the use of exotic and wild animals in traveling circuses in the US. ADI exposed the cruel treatment of circus animals in Bolivia, going undercover to rescue and relocate 25 circus lions via airlift to safer homes in the United States (following the country’s ban on all animals in circuses). The rescue of the animals, called Operation Lion Ark, was funded through the kindness and generosity of Bob Barker. “Lion Ark,” produced by ADI Films, captures the behind-the-scenes plight of the animal rescue, the heartache, and the joyful flight to freedom. The film has won awards at the Sedona International Film Festival, the Omaha Film Festival, the Sun & Sand Mississippi Film and Music Festival, the Anchorage Film Festival and the Palm Beach International Film Festival. ADI held a fundraising gala in Los Angeles, where they presented television host and philanthropist Bob Barker with the Lord Houghton Award for outstanding services to animal welfare. ADI also honored actress Jorja Fox (“CSI”) with the Animal Champion Award for her dedication to sustaining safe environments for animals in entertainment. Other ADI celebrity supporters include Sir Paul McCartney, Ricky Gervais, Brian Blessed, Twiggy and Sir Roger Moore. Attention KUCI students, staff, faculty, and yes, even the Chancellor! Ever want to shine on radio? Are your creative juices already flowing this early in the Quarter? Enter now to participate in the KUCI Fall Fund Drive promo contest! In the lead-up to our Fall Fund Drive October 27 - November 7, we are soliciting your submissions of a script that promotes our fund drive. 30 to 60 seconds of your creativity could make you famous. The top 3 submissions, as judged by our Production Department, will win the opportunity to have their own voices used in the promo that we produce at the station. We will even throw in some KUCI swag! Eligibility: Anteater students, staff, faculty, and yes, even the Chancellor. Hurry! The deadline is Friday, October 17 at 5:00 PM. Please submit your script, your name, your contact information, or any questions to Claudia Shambaugh, Fundraising Manager, at fundraising@kuci.org. *Cool CD, ticket, KUCI swag, gift certificates, and other premiums will be offered to donors as a thank you. Thank you Anteaters for your support and good luck! Dr. Shamini Jain, psychologist, scientist, and social entrepreneur joined me Monday October 20th @9:00am! Dr. Shamini Jain is a psychologist, scientist, and social entrepreneur. She is the Founder and Director of the Consciousness and Healing Initiative, a collaborative effort that links scientists, practitioners, entrepreneurs, and educators to facilitate healing through an understanding of consciousness and consciousness-based practices. 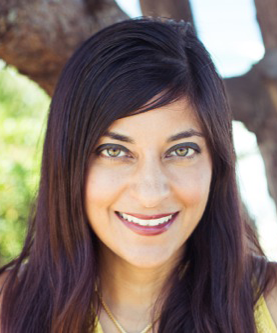 Dr. Jain is also an Assistant Professor in the Department of Psychiatry at UC San Diego, where she is also Chair of the Center for Integrative Medicine’s Research Committee. Dr. Jain conducts research in integrative medicine and psychoneuroimmunology. Her published, NIH-funded research in biofield healing, a form of integrative medicine, has been featured in TIME magazine and CNN. Dr. Jain has received several awards from scientific organizations for her work. Dr. Jain obtained her B.A. in Neuroscience and Behavior from Columbia University, and her Ph.D. degree from the SDSU/UCSD Joint Doctoral Program in Clinical Psychology. She conducted her clinical residency at the La Jolla VA Hospital/UCSD, and her post-doctoral fellowship at UCLA’s Division of Cancer Prevention and Control Research. Dr. Jain’s extramurally-funded research has included examining biofield-based approaches for cancer-related fatigue and PTSD, the development of systems-biology based models for understanding and tracking resilience, examining the effects of a comprehensive supportive care clinic on survival and quality of life in cancer patients, and the impact of gratitude on psychoneuroendocrine function in heart failure patients. Here are some recent featured blog posts! Kevin J Surace, innovator, entrepreneur and CEO of Appvance joined me Monday at 9:30am pst! Kevin Surace is an innovator and entrepreneur and CEO of Appvance which drives scalability and performance of apps and websites. 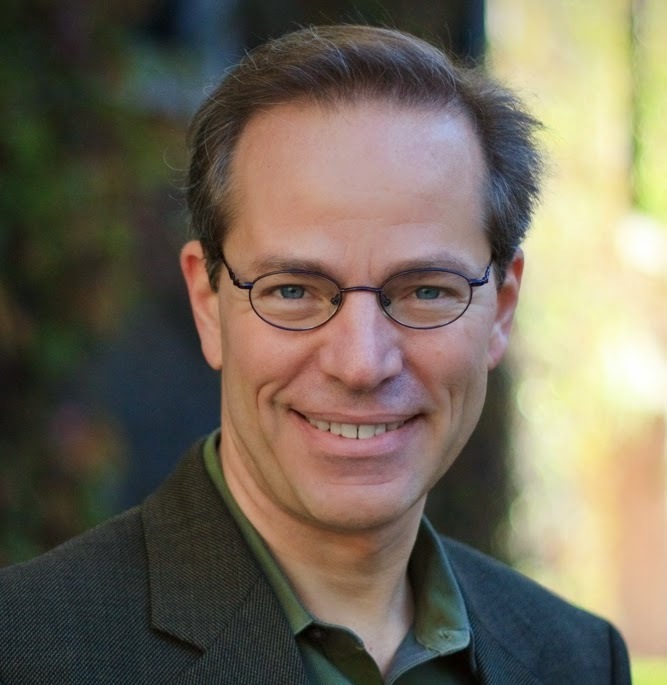 Kevin has led organizations instilling innovation, technology, and revenue growth including Serious Energy (from 0 to 420 employees), Perfect Commerce (supply chain software), CommerceNet (non-profit), General Magic (virtual assistant), WebKnight (Java authoring) and Air Communications (smartphone). He has been featured in BusinessWeek, Time, Fortune, Forbes and CNN and keynoted hundreds of gatherings from INC5000 to TED to the halls of congress. He has been Entrepreneur of the Year (Inc. Magazine), named a top 15 innovator of this decade (CNBC), awarded Tech Pioneer (World Economic Forum), nominated as Innovator of the Year (PlanetForward) and inducted into the Innovation Hall of Fame (RIT). At Serious Energy he helped to retrofit some 70,000 projects including the Empire State Building and NY Stock Exchange. He serves on 6 boards and has been awarded 24 US patents. In his spare time, he is also a well known music director, producer, arranger and percussionist. Bestselling author, motivational speaker. and Washington, DC-based career, retirement and personal finance expert Kerry Hannon joined me Monday at 9:00am PST! 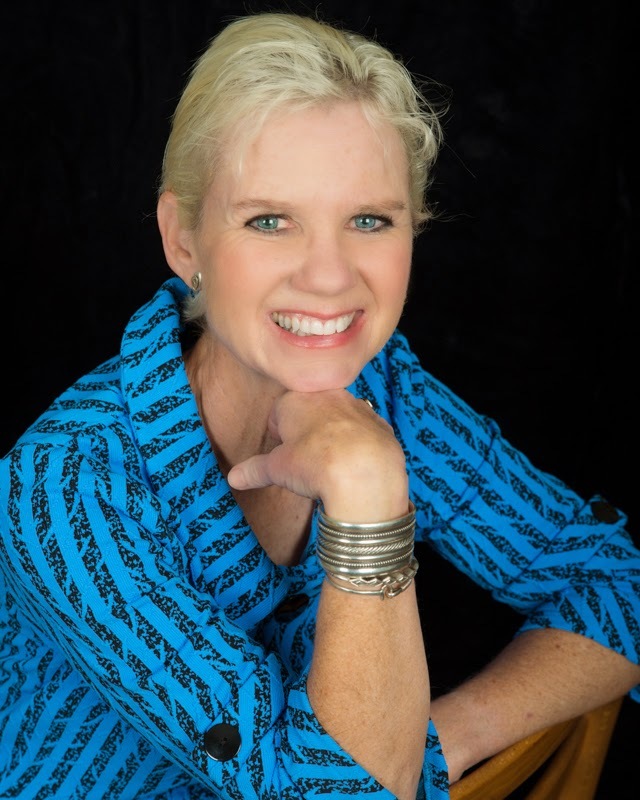 Kerry Hannon is a bestselling author and Washington, DC-based career, retirement and personal finance expert and a popular motivational speaker. Kerry’s book Great Jobs for Everyone 50+: Finding Work That Keeps You Happy and Healthy ... And Pays the Bills (John Wiley & Sons, 2012) is a national bestseller. Her updated paperback version of her award-winning book, What's Next? Finding Your Passion and Your Dream Job in Your Forties, Fifties and Beyond (Berkley Trade, 2014) is now available. Her upcoming book, Love Your Job, will be published by John Wiley in December 2014. Kerry has spent more than 25 years covering all aspects of personal finance for the nation's leading media companies, including The New York Times, Forbes, Money, U.S. News & World Report, USA Today and The Wall Street Journal. She is a nationally recognized authority on boomer career transitions and retirement. Kerry is a columnist and regular contributor to The New York Times and a contributing writer for Money magazine. She has appeared as a financial expert on NBC Nightly News with Brian Williams. ABC News, CBS, Fox, CNBC, CNN, and PBS and has been a guest on numerous radio programs. Follow Kerry on Twitter @KerryHannon and visit her website, KerryHannon.com and her LinkedIn profile.